Nothing quite brightens a mood like cheerful yellow flowers. There are loads of annuals and perennials that bring this bright splash of color to your garden. The contrast of the cheerful color against the green leaves makes a fabulous play in a garden bed. Did you know that May 30 is Water a Flower Day? It’s a good reminder that the hot weather is coming and that we need to make sure that our flowers get a daily dose of H20! Almost all flowers do better when the water is plentiful. In honor of the day, I thought it would be fun to enjoy some pretty yellow flowers. Yellow flowers add a touch of sunshine to the landscape, even when the clouds are out in force. Here are some lovely examples to give you ideas for your own planting beds. 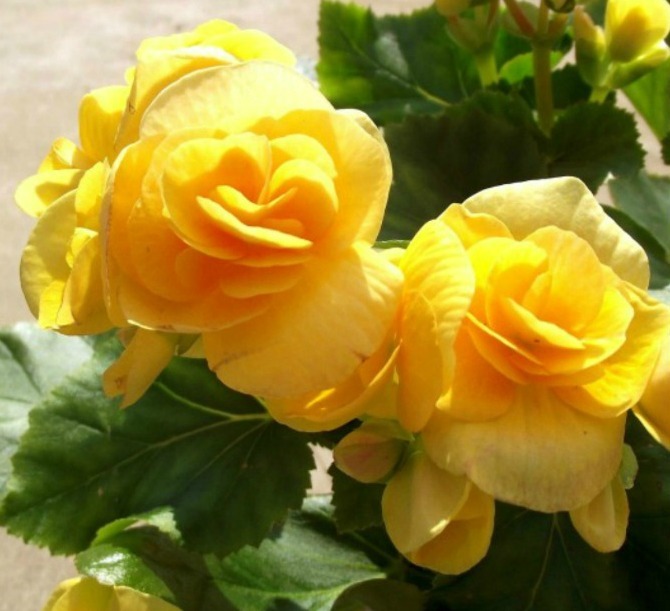 Yellow tuberous begonias make an amazing indoor or outdoor plant. It can be grown from seeds or tubers. 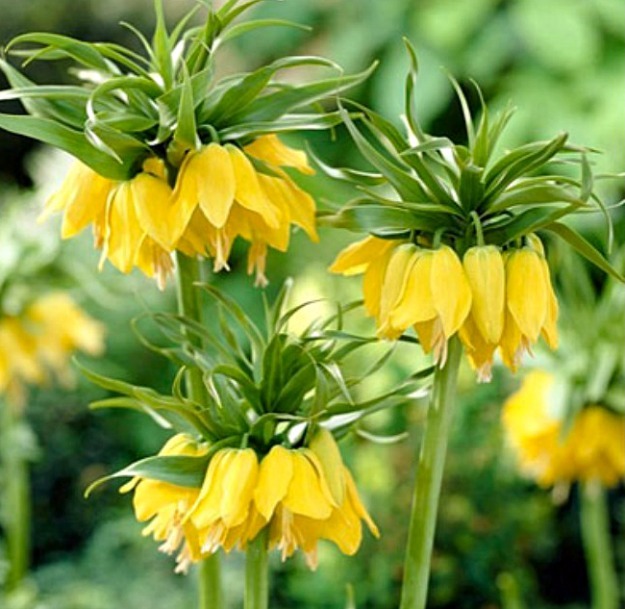 These Yellow Crown Imperial bulbs have an upside down growing habit that is very unusual. 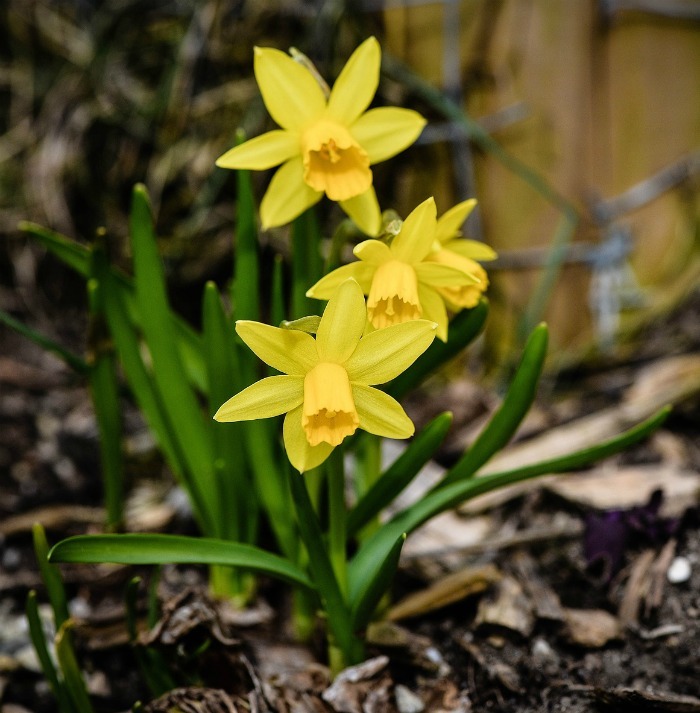 The sight of a sunny daffodil tells me that spring is just around the corner! 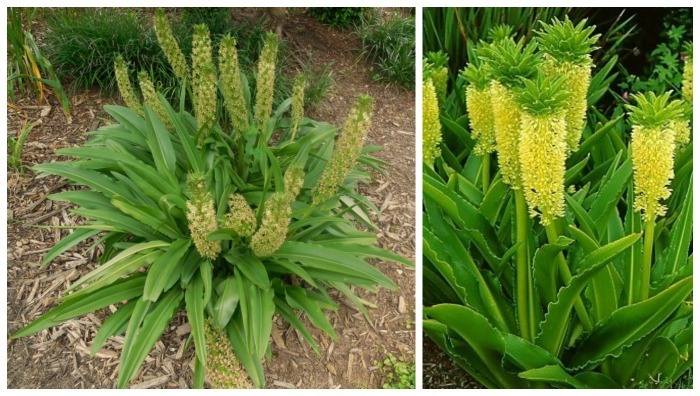 See more early blooming plants here. The very first flower in my garden each year grows on a forsythia bush. The yellow flowers are short lived but amazing for those few weeks. 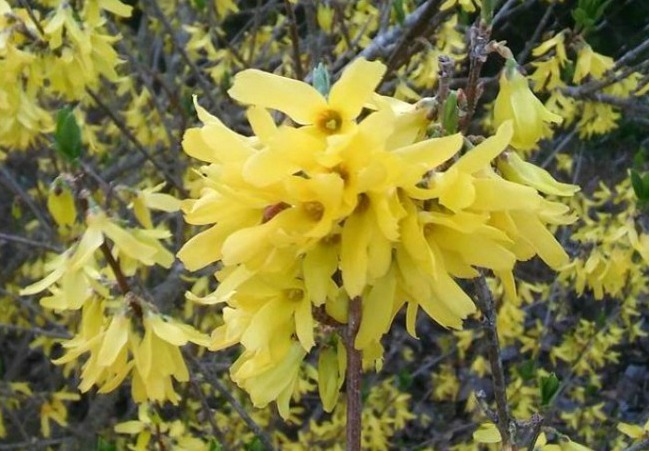 It’s very important when pruning forsythia to trim after flowers have started to fade, rather than late in the year, when you decide to trim them. This will give you more flowers the next year. 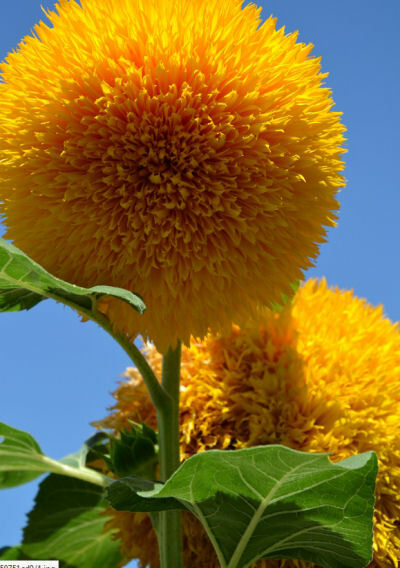 The puffy head of this pretty flower gives it the name Teddy Bear Sunflower. 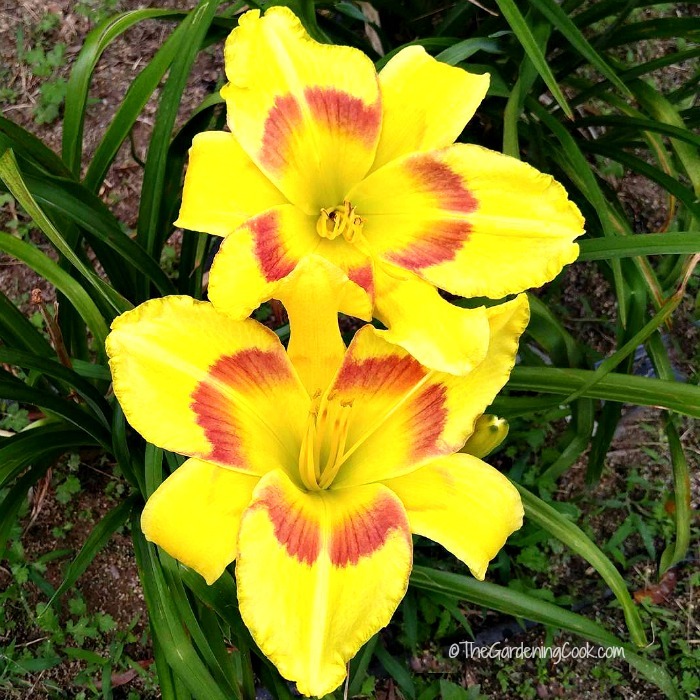 Some of my favorite perennial bulbs are lilies. 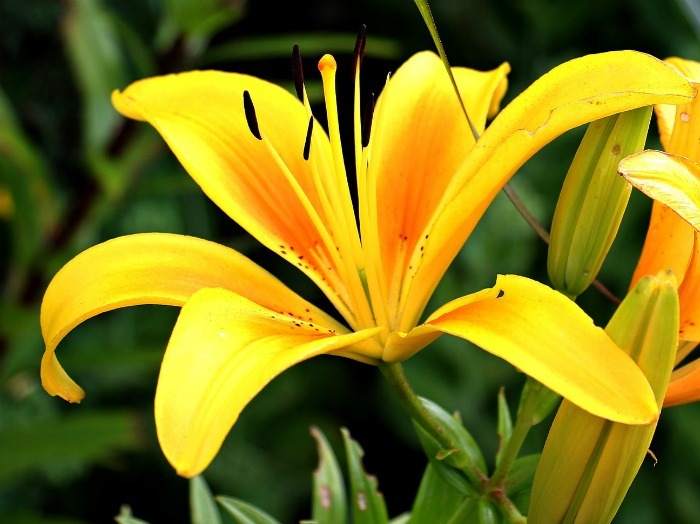 This dramatic oriental lily has a lovely spiked flower design in vibrant yellow. 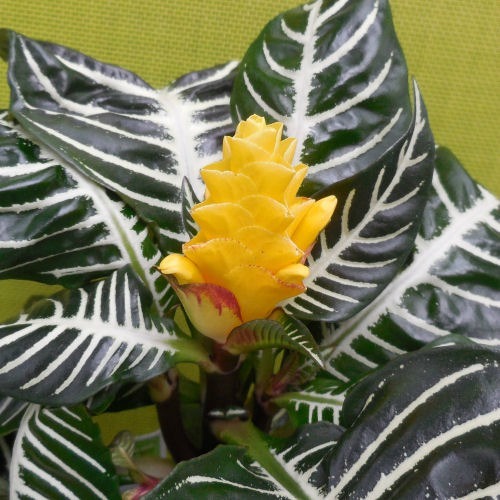 This showy houseplant is a tropical. It has the most spectacular yellow blooms that sit above glossy green striped leaves, giving it the common name Zebra plants. 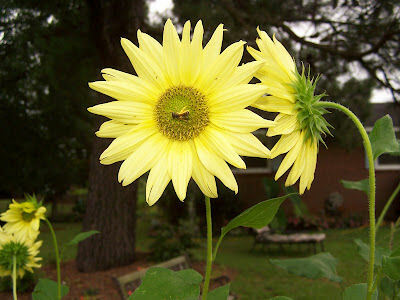 This pretty yellow sunflower was planted in a garden bed that I call the “Jess Garden” since I planted it with my daughter Jess, whose favorite flower is a sunflower. 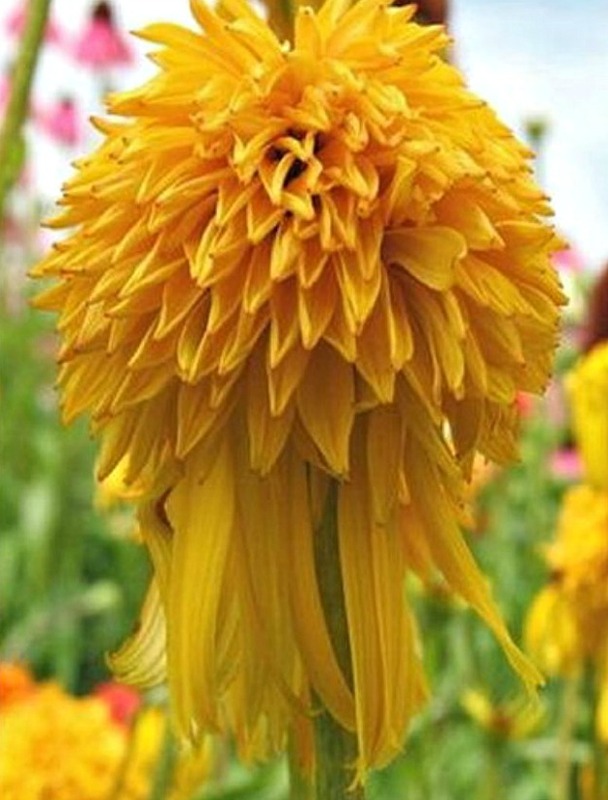 Echinacea ‘Pineapple Sundae’ Coneflower is a magnificent variety of coneflower that has a mound on the top instead of the normal cone. 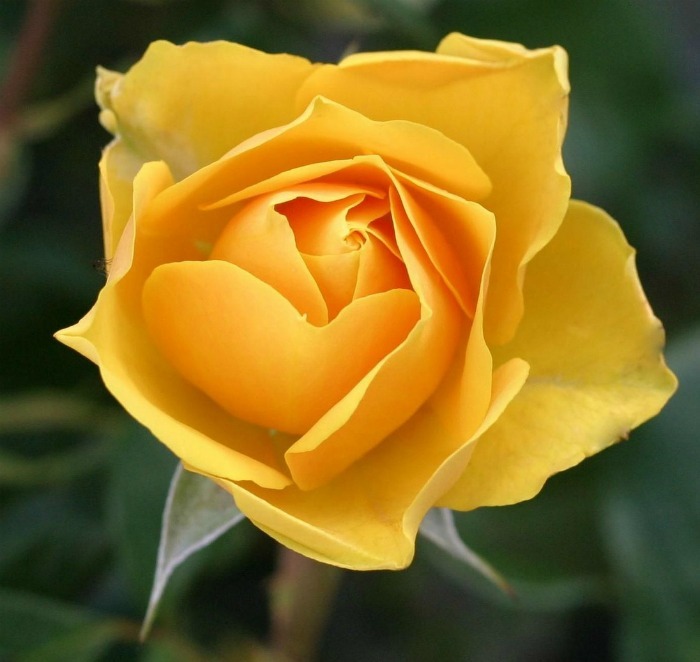 Yellow roses say are connected with Joy, Gladness, Friendship, Delight, Promise of a new beginning. They are used say “Welcome Back, Remember Me”, and also signify Jealousy. Find out what other rose colors mean here. Exotic and Fragrant Pineapple Lily has an unusual flower top what looks as though it will soon sprout a pineapple! 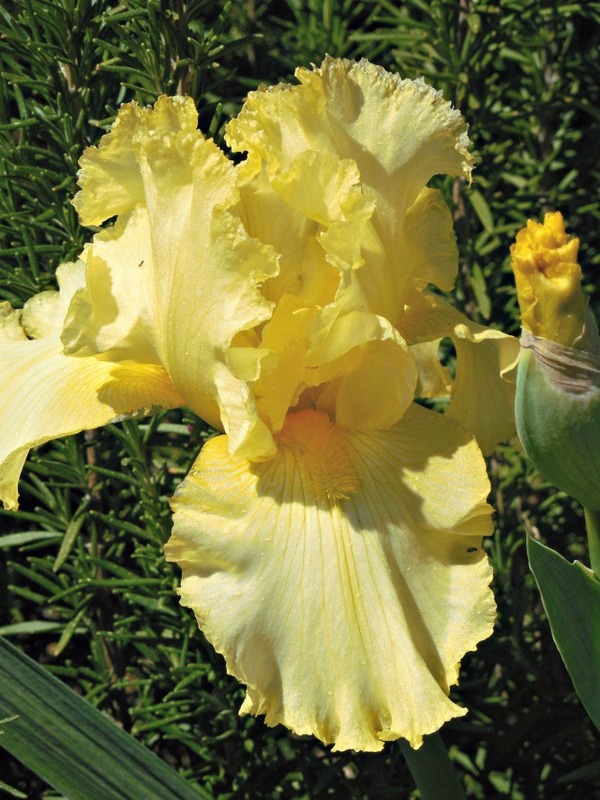 Reblooming Yellow beaded irisis a majestic spring time visitor that will be the star of your summer garden. 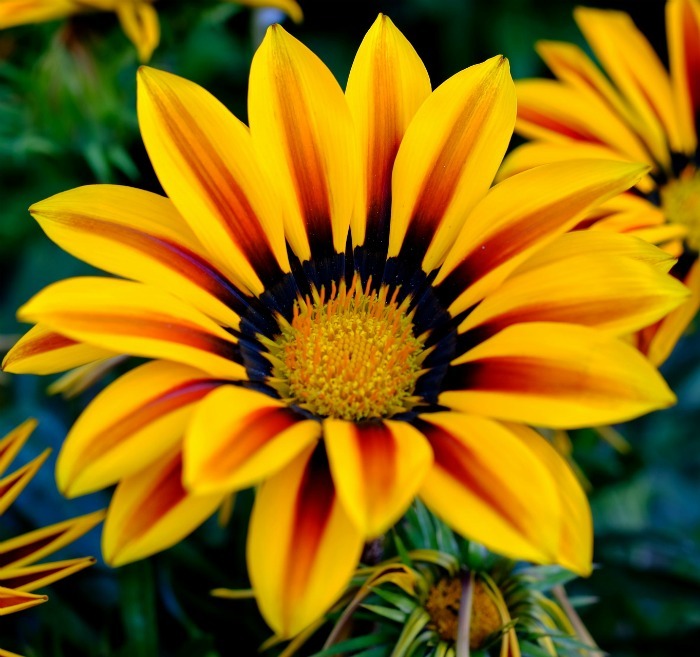 This vibrant fellow is called a gazania. The daisy like look of it appeals to me since a daisy is my birth flower. Which are your favorite yellow flowers? Do you have one that I have not mentioned here?